There is significant evidence, such as clinical practice guidelines, to suggest a strong correlation between physical activity and improved health. However, healthcare providers do not routinely incorporate these guidelines into their practice, often due to a lack of awareness of these resources, counseling skills, and a healthcare team trained to successfully implement a strong physical activity focused practice.Ideally, healthcare providers will begin to treat physical activity as they do other treatment methods such as medication. Encouraging their patients to engage in physical activity could lead to better patient outcomes. This educational activity provides the healthcare provider with the opportunity to recognize the research into physical activity outcomes, incorporate physical activity practice guidelines, engage in effective counseling, and address the physical activity needs of different population groups.Substantial research has shown the health benefits of regular physical activity. 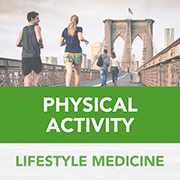 There are a variety of helpful tools and resources available to assist healthcare providers to introduce physical activity counseling to their patients. Through greater recognition and skill healthcare providers will be able to impact their patients' health outcomes by adding physical activity support into their practices.